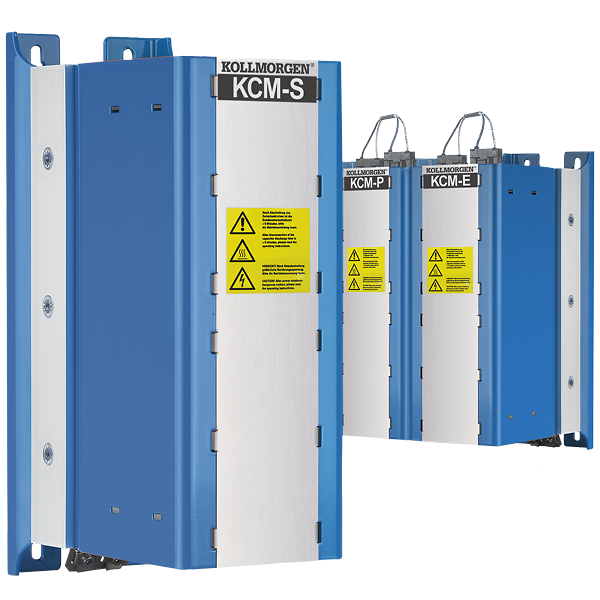 KCM modules (KOLLMORGEN capacitor modules) absorb kinetic energy generated by the motor when it is operating in generator mode. Normally, this energy is dissipated as waste via brake resistors. KCM modules, however, feed the energy they have stored back into the intermediate circuit as and when it is required. 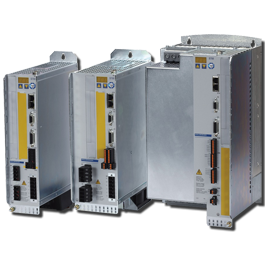 The modules are available in 3 different versions. Saves energy: The energy stored in the capacitor module during regenerative braking is available the next time acceleration happens. The module's inception voltage is calculated automatically during the first load cycles. Power in spite of power failure: If the power supply fails, the module provides the servo amplifier with the stored energy that is required to bring the drive to a standstill in a controlled manner (this only applies to the power supply voltage; battery-back the 24 V supply separately). 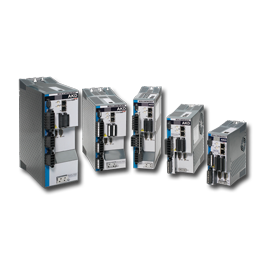 Expansion module for both applications. Expansion modules are available in two capacitance classes. The modules can be combined as required.